Here is a completely updated edition of the best-selling Resolving Conflicts at Work. 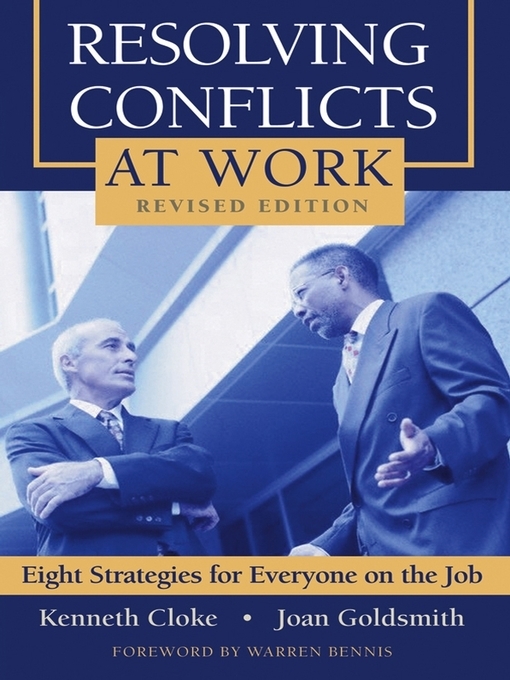 This definitive and comprehensive work provides a handy guide for resolving conflicts, miscommunications, and misunderstandings at work and outlines the authors' eight strategies that show how the inevitable disputes and divisions in the workplace actually provide an opportunity for greater creativity, productivity, enhanced morale, and personal growth. This new edition includes current case studies that put the focus on leadership, management, and how organizations can design systems to change a culture of avoidance into a culture of creative conflict. The result is a more practical book for today's companies and the people who work in them. Warren Bennis - Author of introduction, etc.